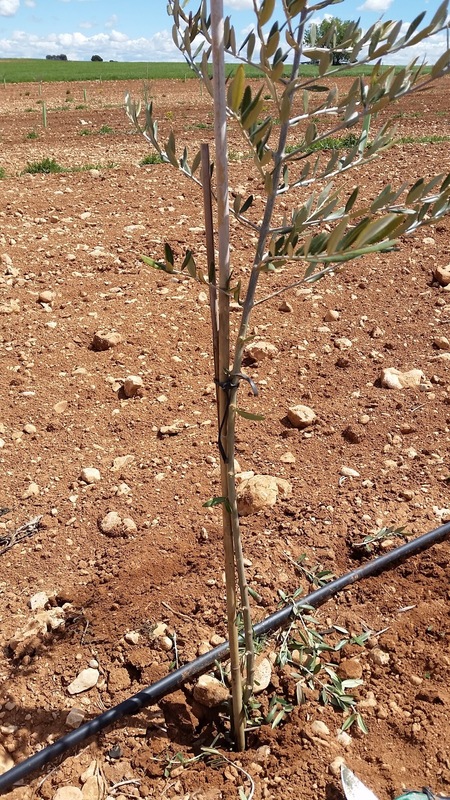 In the previous article we talked about thinning pruning that applies to olive trees in production. On this occasion, we will mention some of the most important features of growth pruning. The growth pruning, as its name indicates, is carried out to shape the olive tree. This type of pruning begins from the first year, which will end when the tree is perfectly formed and ready to produce the maximum kilos of olives in successive years. This pruning can be more or less aggressive, depending on the growth of the tree. If the olive tree is growing strongly, you can do a more aggressive pruning, but if the olive tree is growing slowly (usually in dry fields) the best is to do a light pruning or even waiting a little longer for the trunk to be thicker. As with thinning pruning, the ideal time to prune is at a time when it is not too cold, as the tree is left unprotected after pruning. 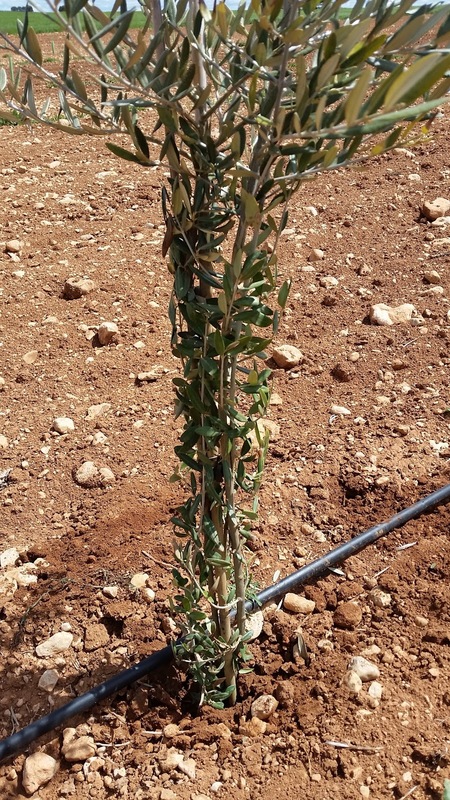 In this type of pruning there are two techniques, the first one with an olive tree tip and the second one without any tip. 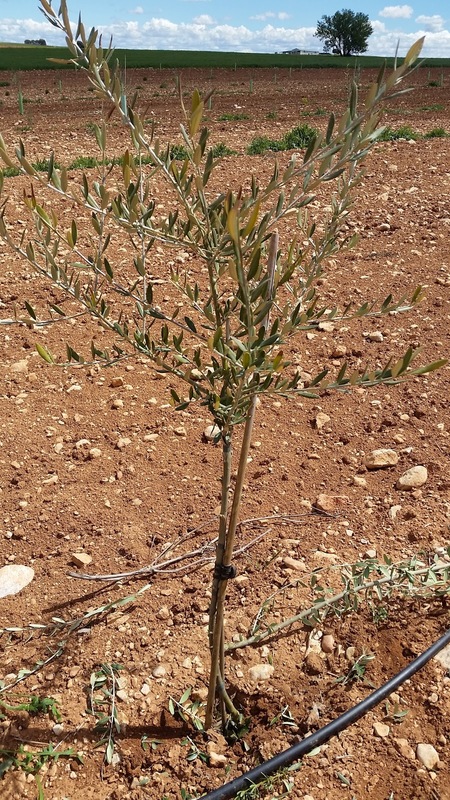 We have practiced the second technique, as we need the olive tree to continue growing without excessive branching. The main objective of this pruning is to eliminate the branches that are in the lower part of the trunk. With this technique, the tree will grow in its upper part. At the same time, we are forming the trunk that will be very important to be able to apply a mechanized harvesting (with shaker machine) in the future. The objective of removing branches from the upper part is to form the cross (first branches) at a height of about one meter, so we will have to leave the trunk clean until the first branches we see are similar in thickness that will indicate the branches in the future. The cuts are recommended to be done at a distance of 1 cm from the trunk, so that the scars are not so direct on the trunk. The pruning task is a very controversial issue, since according to the farmer, the area, the type and variety of tree must be applied in one way or another. Thus, what we have said here is what we have said and what we consider most appropriate for our explotation. We sure many farmers have made another technique that we'd like to know.... we look forward to your comments.